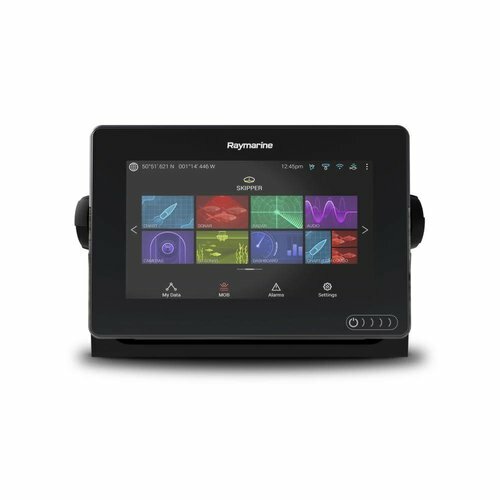 Raymarine's AIS650 AIS Transceiver sending and receives AIS data via VHF that and can be displayed on your chart plotter Read more..
- Dual channel receivers - AIS vessel monitoring of class A and B transmissions. - Dedicated 50 channel RAIM compliant GPS receiver for superior accuracy. - Hardware and software selectable Silent Mode for privacy or security. Silent Mode for privacy or security. Silent mode turns off your AIS transmitter while still enabling you to see transmissions from other vessels. - SeaTalkNG networking for simple integration with Raymarine C Series Widescreen, E Series Widescreen and G Series systems. - USB 2.0 port for setup and diagnostics. - SD Card Slot for recording of AIS data. - Built-in NMEA multiplexer simplifies integration with legacy Multifunction Displays, VHF radios and 3rd party devices. The AIS650 supports Raymarine's exclusive Buddy Tracking feature when used with Raymarine multifunction displays. This allows you to save AIS targets of interest with a special icon and "friendly" name. Buddy tracking makes it easy to spot the boats of friends and family out on the water, or to identify other vessels-of-interest with ease.